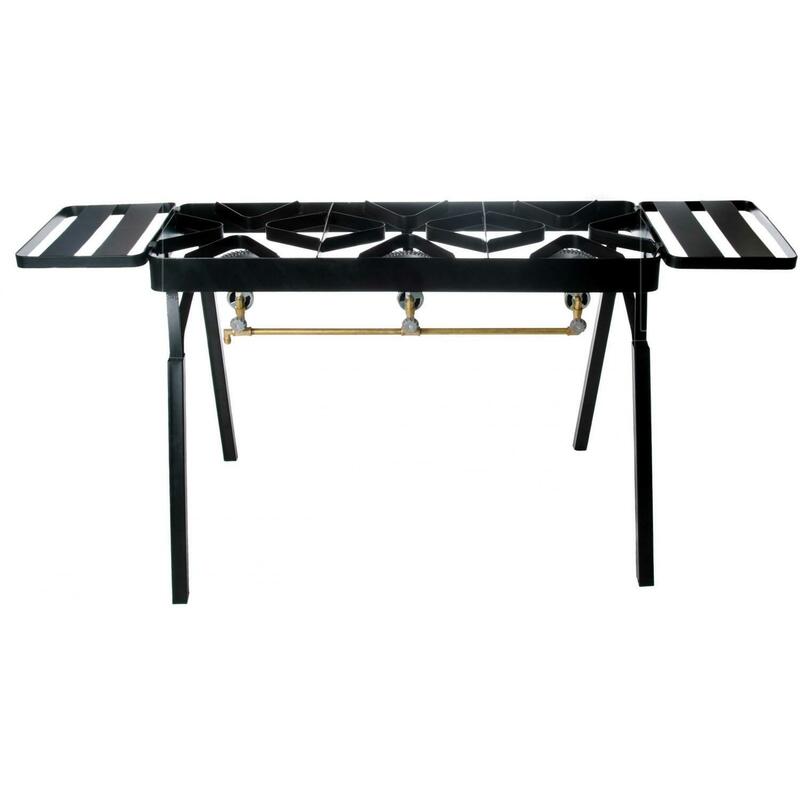 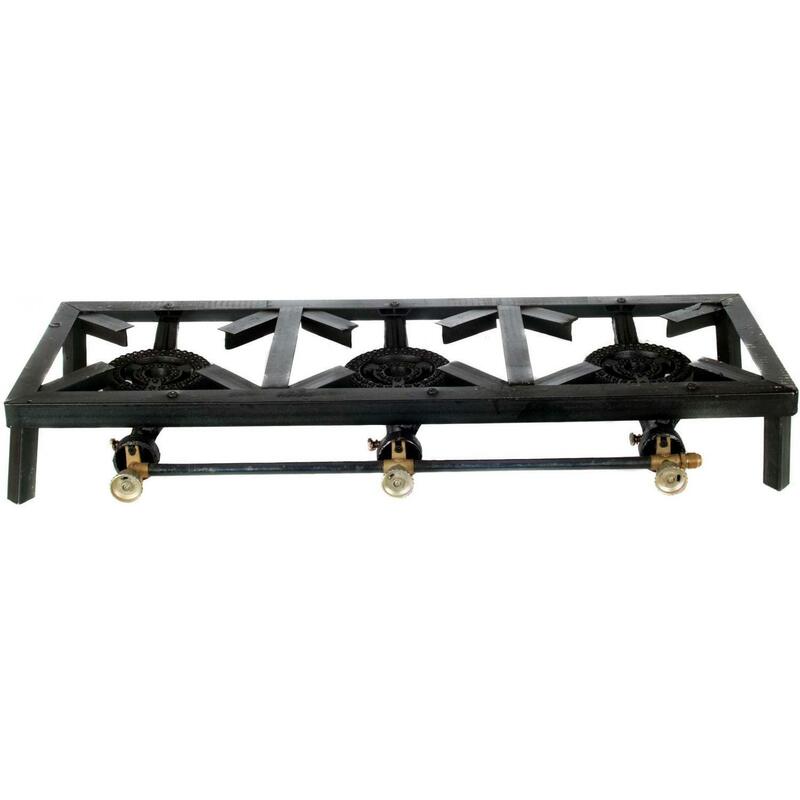 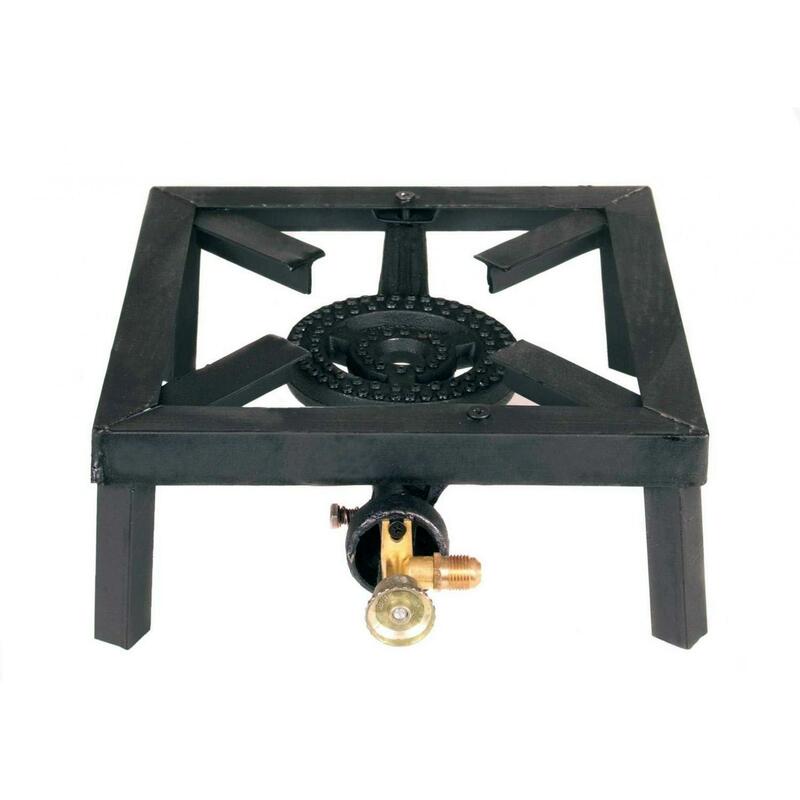 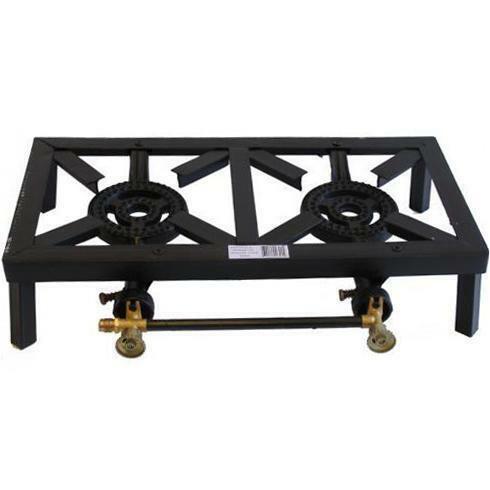 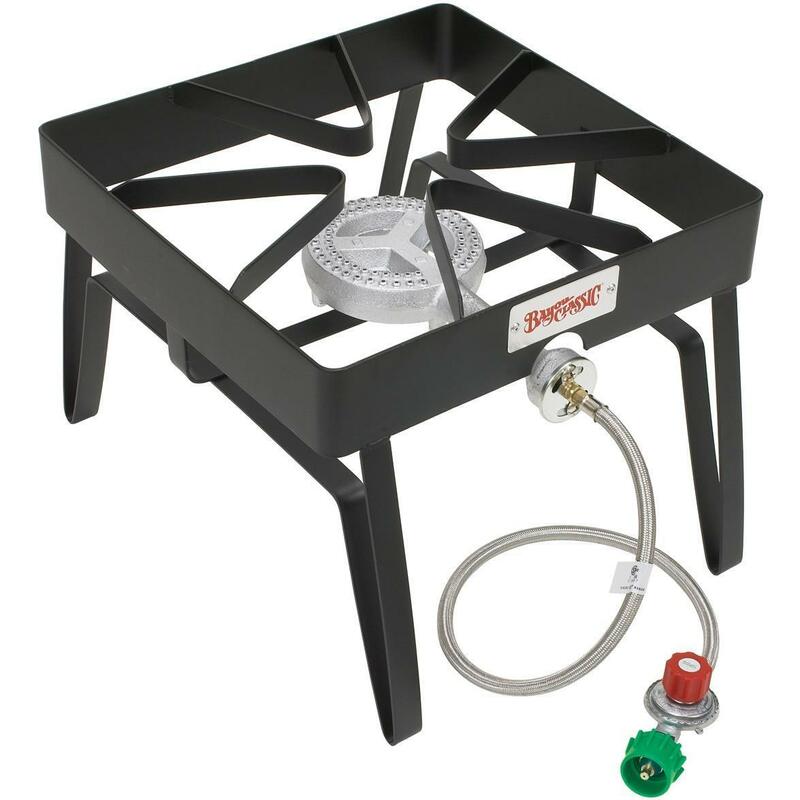 Product Description: Cajun Cookware 2-Burner Propane Gas Stove On Cart - GL588. 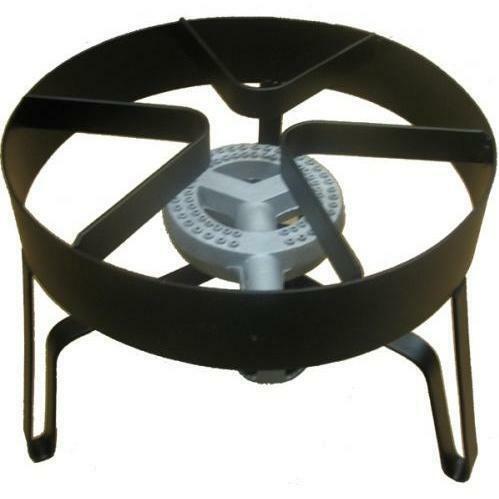 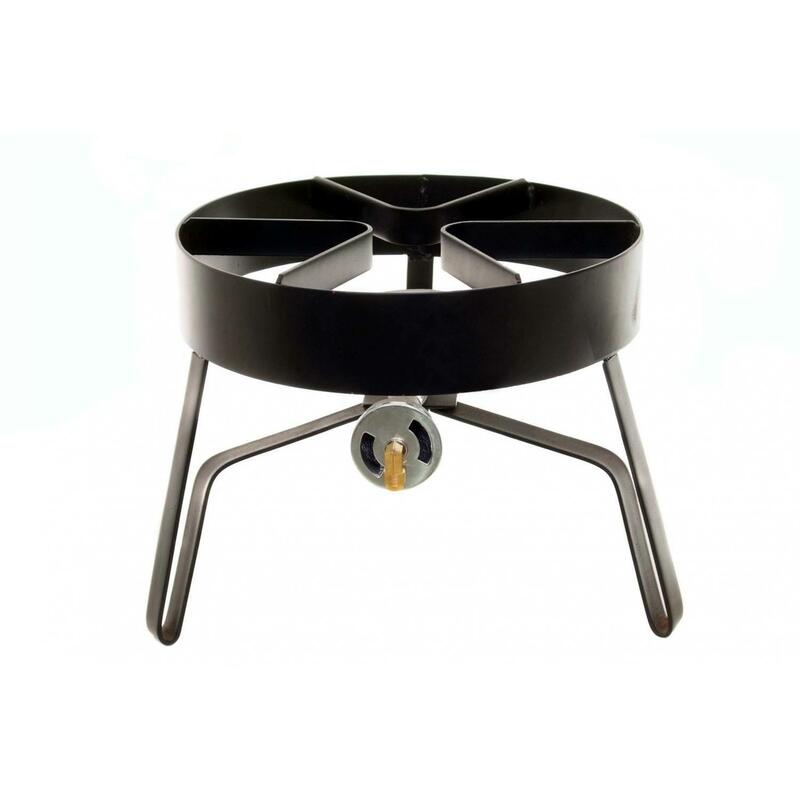 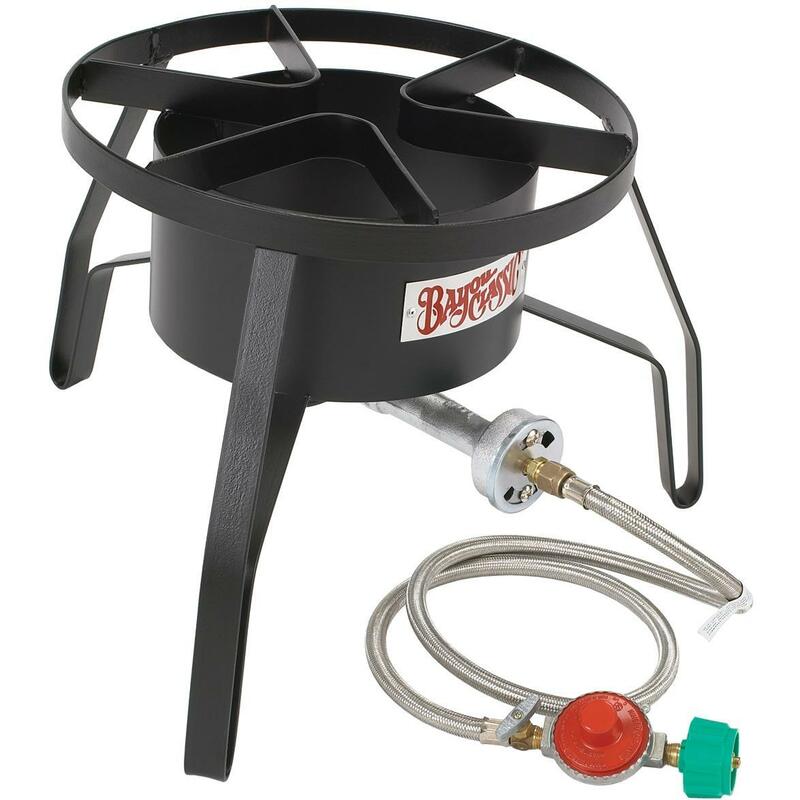 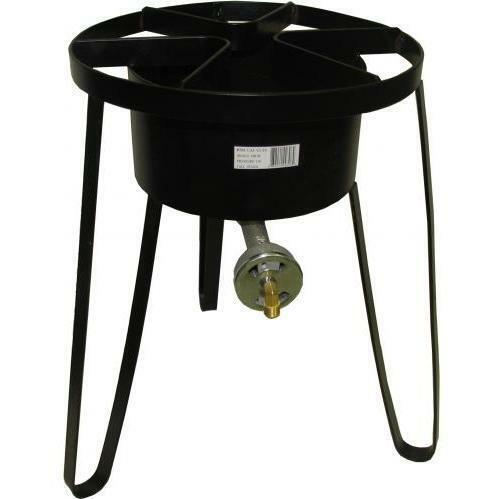 This Cajun Cookware burner has two individually controlled gas burners in a cart. 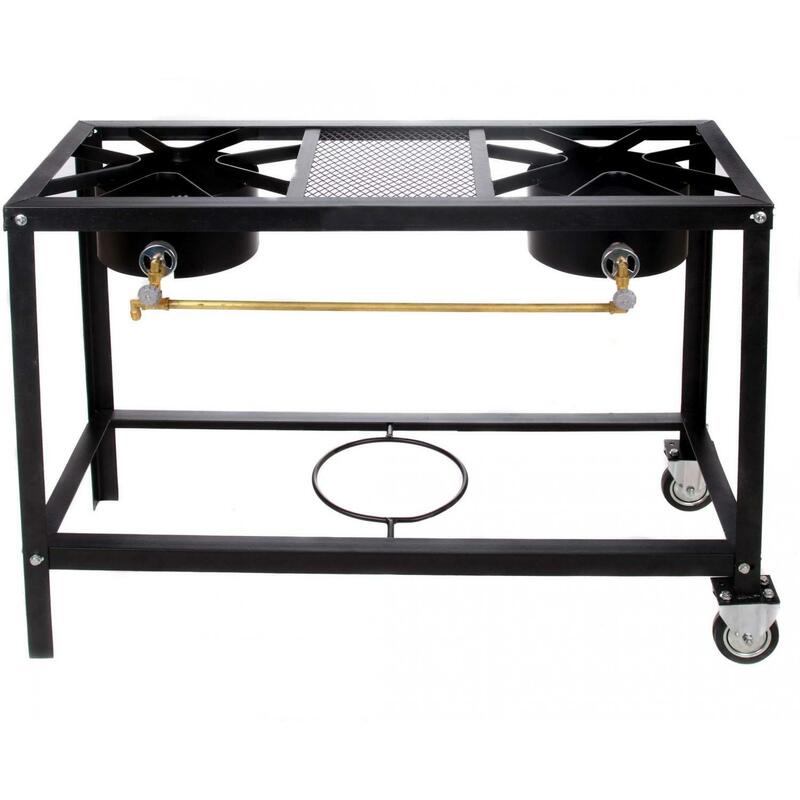 The Cajun Cookware cart measures 30 inches tall x 42 inches long x 15 inches wide. 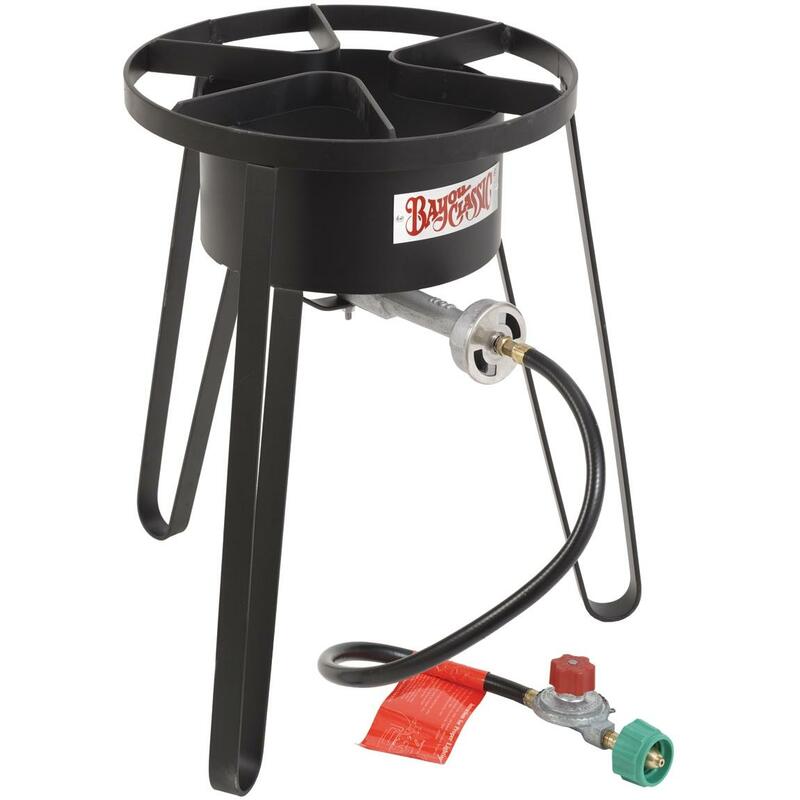 Hose and regulator not included and for use with Propane fuel only. 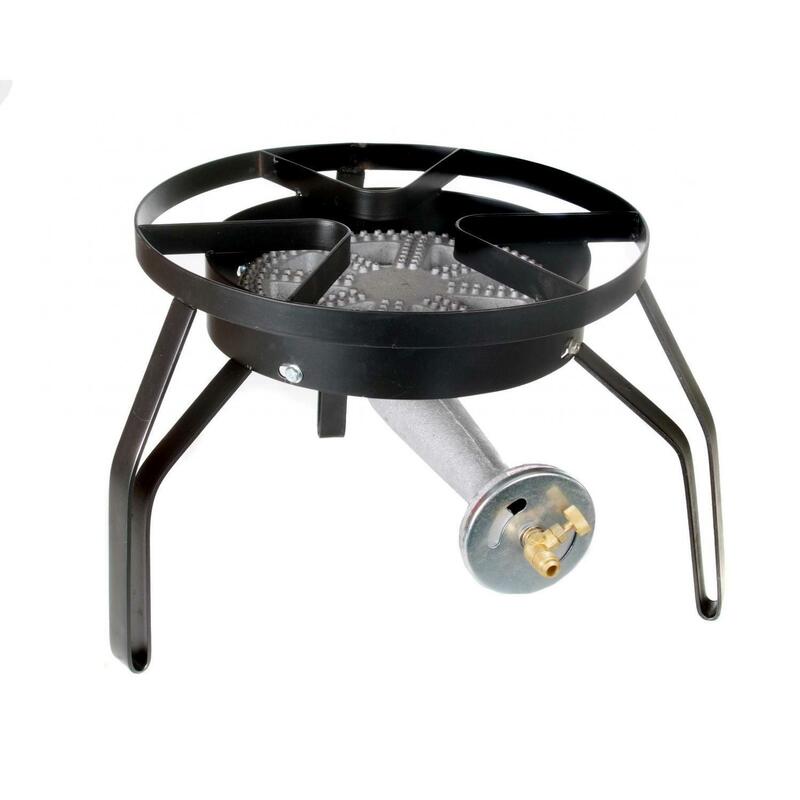 This unit requires assembly.